The Original Staywell Pet Door is available in three sizes; small, medium and large, each of which is available in three different colour finishes - white, brown or silver. Supplied with a closing panel for when it's not in use or for keeping your pet safely indoors. Suitable for most doors and walls. Description Medium brown pet door Brown finish with See Through Flap. Lockable security barrier. Supplied with tunnel extension for door thickness upto 2" Suitable for any thickness of walls & doors but liner e.g. soffit board required Dimensions Overall size : 352mm x 294mm Cut.. Description Medium grey pet door Grey finish with See Through Flap. Lockable security barrier. Supplied with tunnel extension for door thickness upto 2" Suitable for any thickness of walls & doors but liner e.g. soffit board required Dimensions Overall size : 352mm x 294mm Cut o.. Description Large White Pet Door white finish with See Through Flap. Lockable security barrier. Supplied with tunnel extension for door thickness upto 2" Suitable for any thickness of walls & doors but liner e.g. soffit board required Dimensions Overall size : 456mm x 386mm Cut ou.. Description Large Brown Pet Door Brown finish with See Through Flap. Lockable security barrier. Supplied with tunnel extension for door thickness upto 2" Suitable for any thickness of walls & doors but liner e.g. soffit board required Dimensions Overall size : 468mm x 391mm Cut ou.. Description Large Grey Pet Door Grey finish with See Through Flap. Lockable security barrier. Supplied with tunnel extension for door thickness upto 2" Suitable for any thickness of walls & doors but liner e.g. soffit board required Dimensions Overall size : 456mm x 386mm Cut out size .. Description Transparent Flap 175mm high x 153mm wide For Use With Suitable for the small 700 Series Flap, 715, 720, 725, 730 & 737 .. Description Transparent Flap For medium 700 Series Pet Dooors For Use With Suitable for the Medium 700 Series Flap, 740, 755, 757 .. Description Transparent Flap For medium 700 Series Pet Dooors For Use With Suitable for the Large 700 Series Flap, 760, 775, 777 ..
Petsafe / Staywell Small Tunnel Liner - White Compatible with the 715 730 and the 737 small pet door. Simple cut to size, with scissors & snap together. Use to line tunnels through doors. Compatible with the 715 730 and the 737 small pet door. Note: Only one tunnel can be used pe..
Petsafe / Staywell Small Tunnel Liner - Brown Compatible with the 715 730 and the 737 small pet door. Simple cut to size, with scissors & snap together. Use to line tunnels through doors. Compatible with the 715 730 and the 737 small pet door. Note: Only one tunnel can be used pe..
Petsafe / Staywell Small Tunnel Liner - Grey Compatible with the 715 730 and the 737 small pet door. Simple cut to size, with scissors & snap together. Use to line tunnels through doors. Compatible with the 715 730 and the 737 small pet door. Note: Only one tunnel can be used per..
Repleacement Small 'U' Shape for the Staywell 715 Two Way Original Pet Door Colour: White Suitable for : Staywell 715 Two Way Original Pet Door Included : U Shape x 1 Flap Magnet x 1 Bolts ..
Repleacement Small 'U' Shape for the Staywell 730 Two Way Original Pet Door Colour: Brown Suitable for : Staywell 730 Two Way Original Pet Door Included : U Shape x 1 Flap Magnet x 1 Bolts ..
Repleacement Small 'U' Shape for the Staywell 737 Two Way Original Pet Door Colour: Grey Suitable for : Staywell 737 Two Way Original Pet Door Included : U Shape x 1 Flap Magnet x 1 Bolts ..
Repleacement Medium 'U' Shape for the Staywell 755 Two Way Original Pet Door Colour: Brown Suitable for : Staywell 755 Two Way Original Pet Door Included : U Shape x 1 Flap Magnet x 1 Bolts x 4 .. Replacement Medium 'U' Shape for the Staywell 757 Two Way Original Pet Door Colour: Grey Suitable for : Staywell 757 Two Way Original Pet Door Included : U Shape x 1 Flap Magnet x 1 Bolts x 4 ..
Rpleacement Large 'U' Shape for the Staywell 777 Two Way Original Pet Door Colour: Grey Suitable for : Staywell 777 Two Way Original Pet Door .. The 700 Series Large Pet Door is supplied with a rigid flap. This is a flexibale rubber alternative flap. The rubber flaps are very tough and will last for years. The flaps are supplied without magnets. Its possible to reuse your existing magnets. The rigid and rubber flaps are supp..
Decscription Rigid replacement flap. 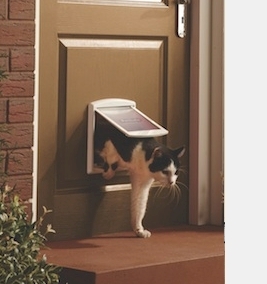 Suitable for Petsafe / Staywell Large Original pet doors - 760, 775, 777. Note This flap has no magnets on the bottom, you need to use the magnets from the flap being replaced. If the magnets are missing or damaged you will need to purchase PAC26..